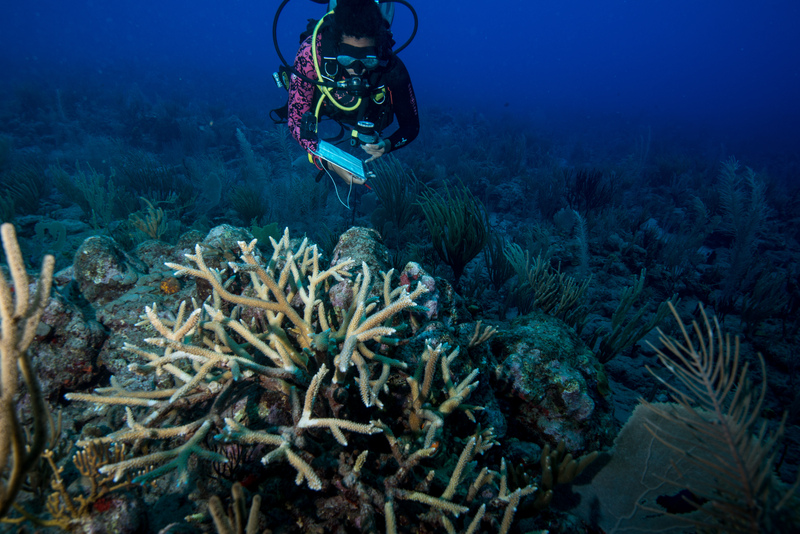 On March 21st we, Pam and Roxanne, two MSc students from the University of Amsterdam, started our DNA tour of the Windward Islands St. Maarten, Saba, and St. Eustatius to collect samples from Acropora palmata and Acropora cervicornis, more commonly known as elkhorn and staghorn corals. Working with RESCQ, IMARES, Wageningen University and the local conservation foundations we want to analyze the samples taken to explore the genetic variety of elkhorn and staghorn within and between the islands. We also want to look at the effect that the nurseries have on the coral fragments and how they impact their subsequent performance once they are outplanted back to the reefs. Our DNA collection tour concluded on April 3rd when we collected our last palmata sample from Saba. The samples will be taken back to the Netherlands where we will extract mRNA in the lab at Wageningen University. The extracted mRNA will then be used to look at genetic variation between the different colonies we sampled, as well as the gene expression of the different wild colonies and nursery fragments. 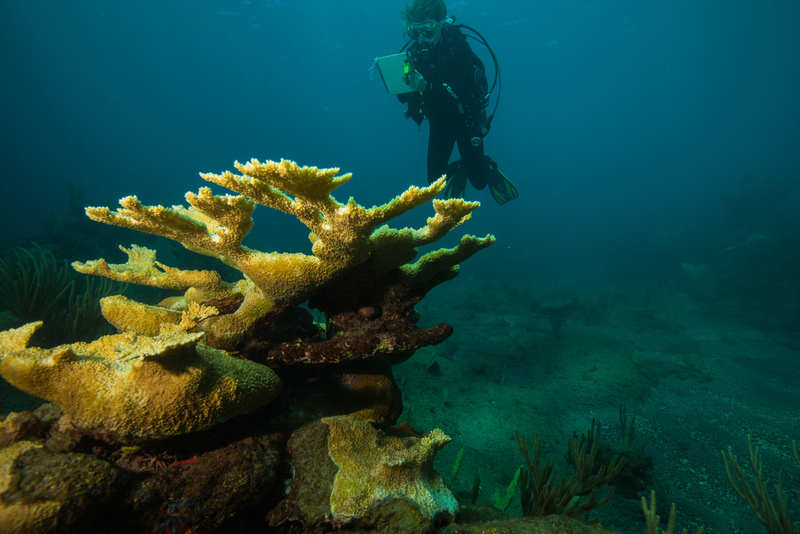 By comparing this data we hope to learn what changes corals go through when they are placed in nurseries, which corals do best in nurseries, and how we could potentially optimize the restoration projects of the coral reefs on the Windward Islands.